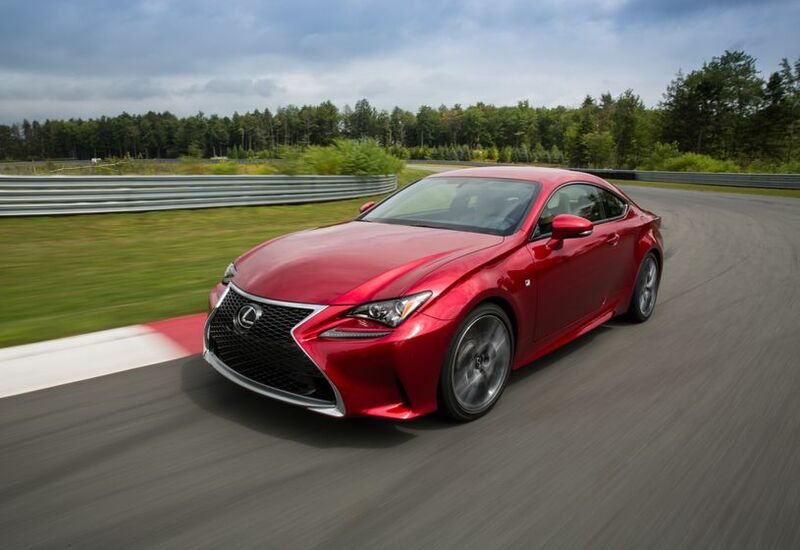 The 2015 RC is available in six configurations, including four F SPORT packages designed to deliver a more aggressive note to both styling and performance. A new painting system called “contrast layering”. 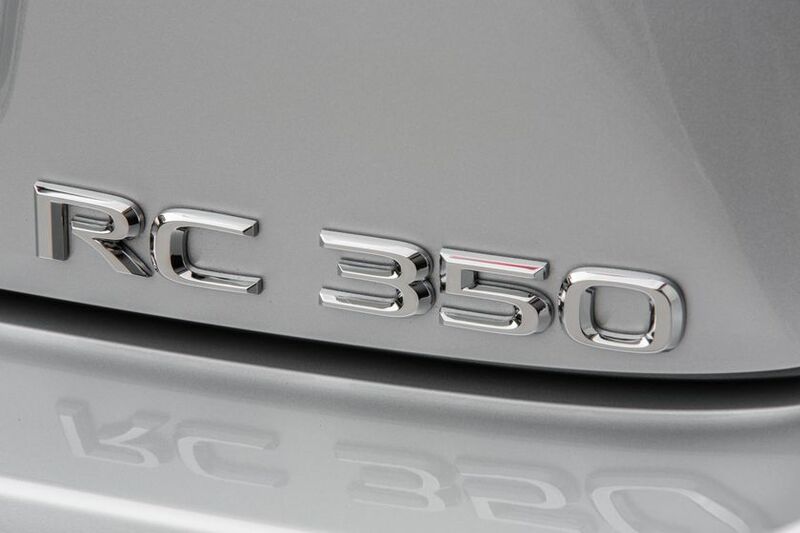 This has been pioneered and used on unique show vehicles but the RC is the first mass-produced model in the world to use it. 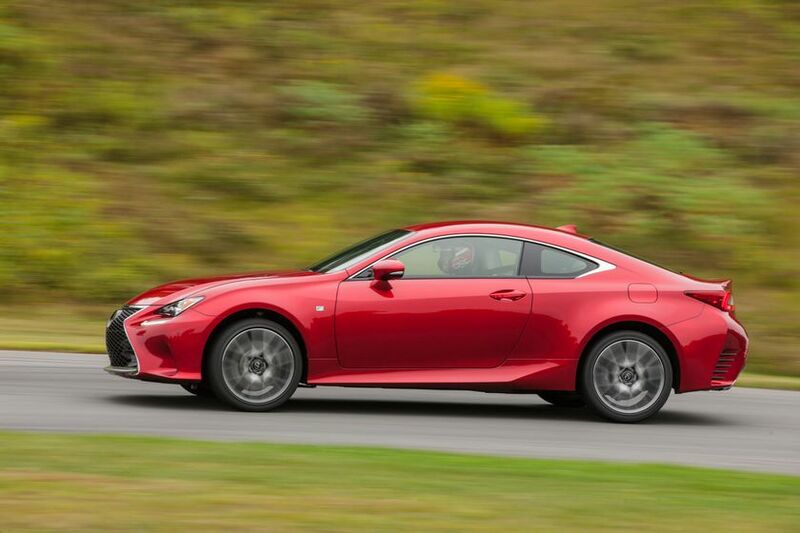 The striking RC coupe body and its equally engaging interior required major changes to production engineering capability to enable the vehicle to be built. Upward-casting ambient interior illumination featuring light diffusion bars. 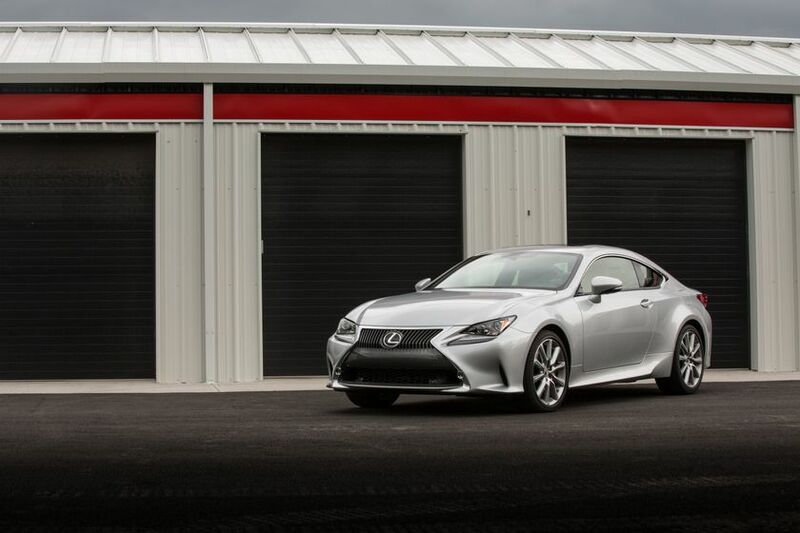 From every angle, the RC delivers a visual jolt. The RC presents a low profile and a wide stance. A compact cabin contrasts with boldly protruding fender flares, a short wheelbase and large diameter tires. Body contours are etched with deep, sweeping lines. Creating the RC body required advanced press technologies that surpassed conventional production line standards. 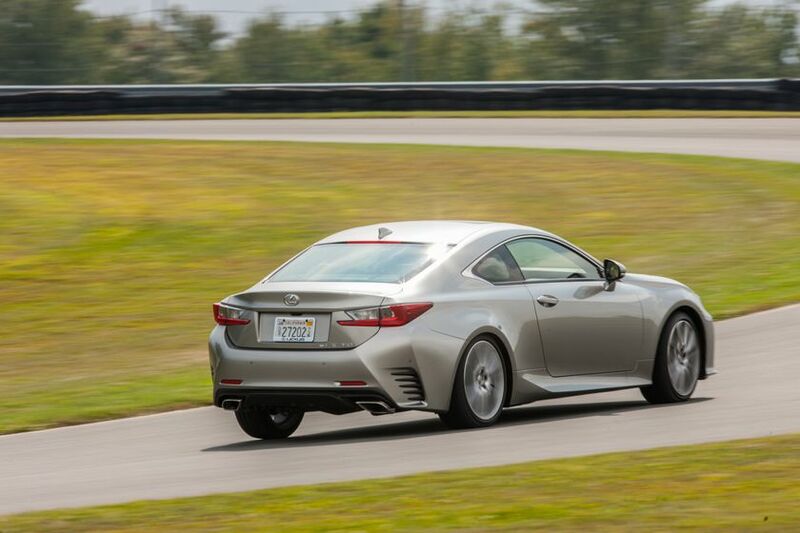 Rather than change the design to fall within production standards, Lexus implemented the new production technologies required to build the RC’s distinctive shape. 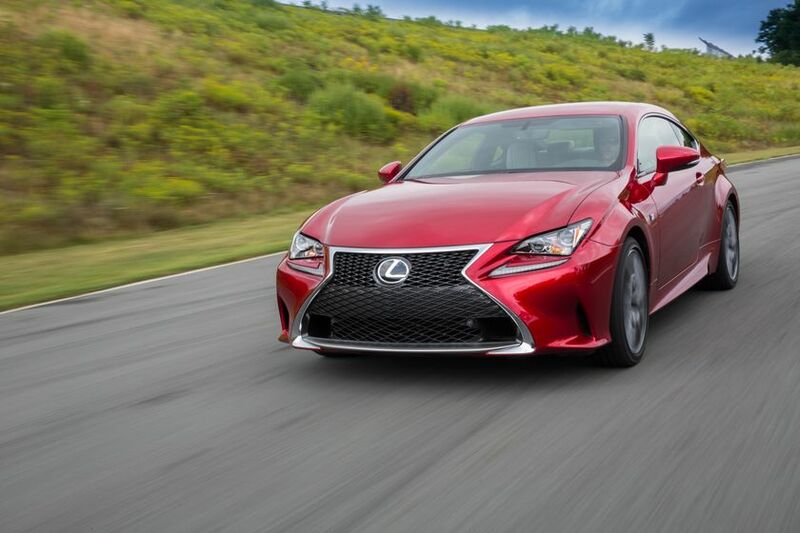 The Lexus spindle grille, which forms the fulcrum of the exterior package, is the lowest and widest application yet of this signature design feature. Headlamps: The RC features state of the art multi-LED headlamps on all models, featuring unique lenses for both high and low beam, plus LED Daytime Running Lamps. 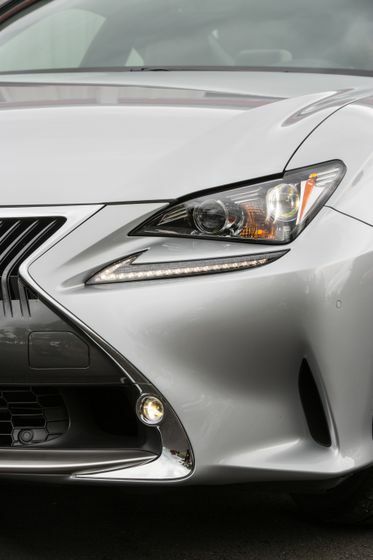 Designers focused on keeping the DRLs as thin as possible while retaining a two-section design and smart lamp shape. Rear combination lamps: Multi-LED lamps and cutting-edge lens technology creates a sparkling effect. 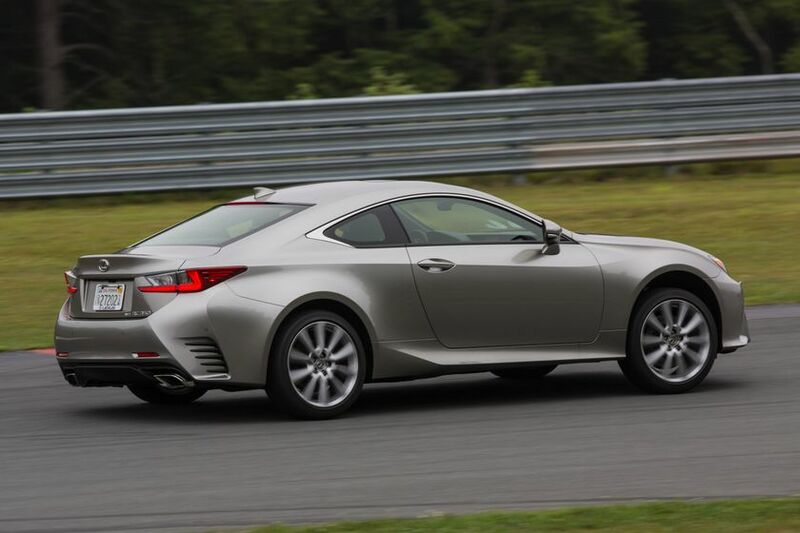 Like the headlamps, the rear lamps adopt the Lexus L-shape motif. Paint: A new five-layer paint process is used for the first time in the world on a mass-production vehicle. Wheels and tires: Impressive 19” aluminium wheels have deeply sculpted machined spokes and present a sharp, sporty look. 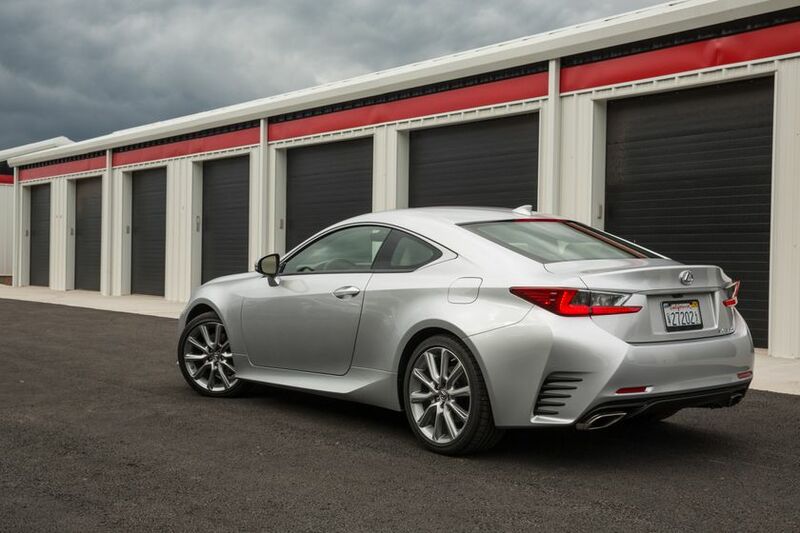 Door design: minimal panel gaps enhance appearance and boost aerodynamics. Black belt-line moulding imparts a sporty appearance. Handles have no parting line between handle and cover, and a fully-concealed keyhole for a seamless, dynamic design. 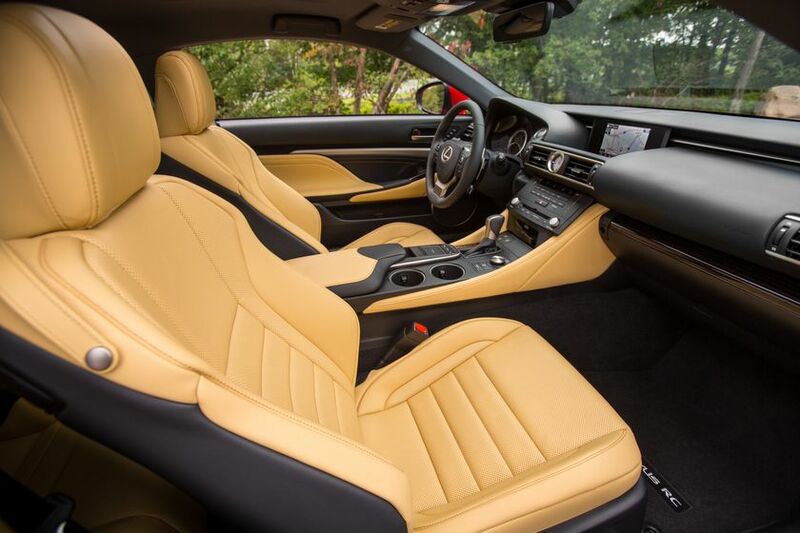 The interior of the Lexus RC creates a sense of both sportiness and elegance, even as it hints at the pleasures to come from the drive ahead. 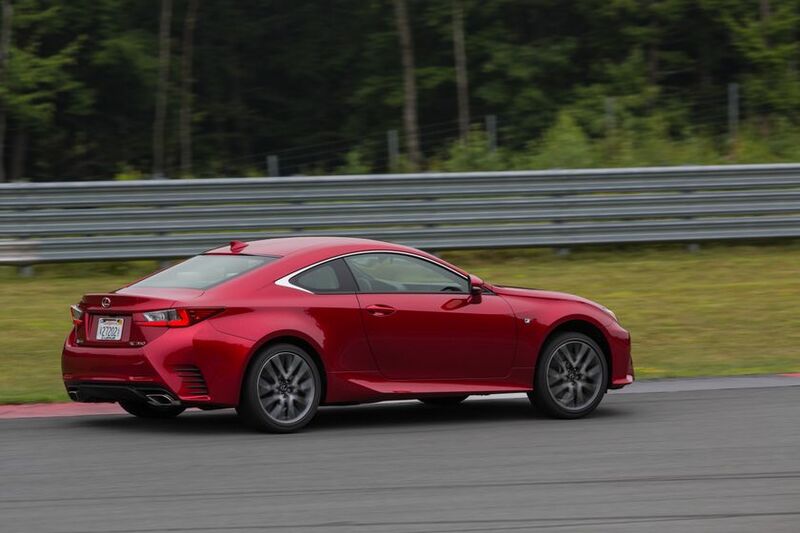 The RC is a true 2+2 coupe, with excellent accommodation for driver and passenger plus sufficient space for two rear seat occupants. 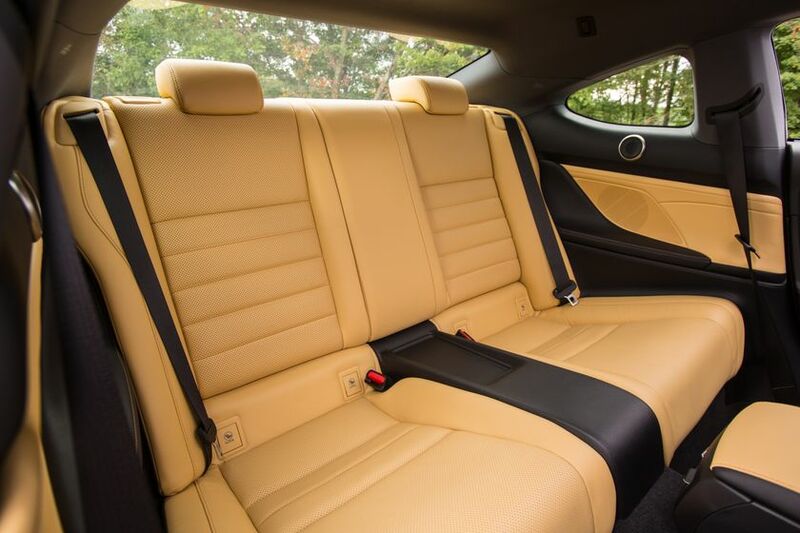 Seats are manufactured using the integrated foaming construction method introduced as a Lexus first on the current generation IS F SPORT, and trimmed with high-contrast stitching. 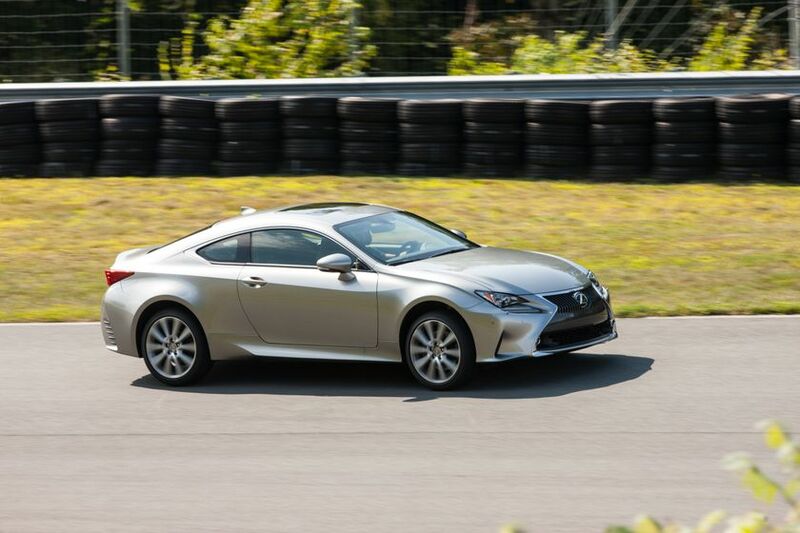 The result is a premium feel and high-precision appearance that is also remarkably comfortable and supportive during spirited driving manoeuvres. A 60/40 split rear seat folds to offer flexibility for carrying longer items. 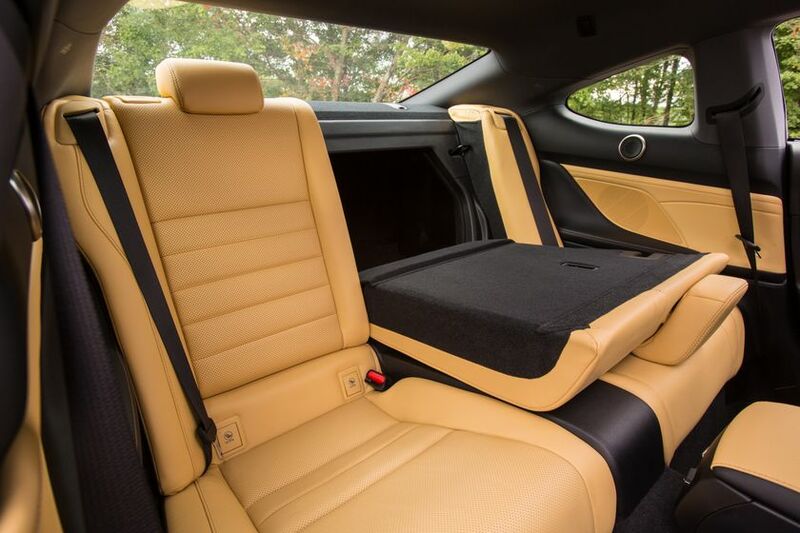 Access to rear seats is enhanced with an electric folding mechanism on the front seats that features a memory system to return the seat to its previous position, plus manual override for quick access. 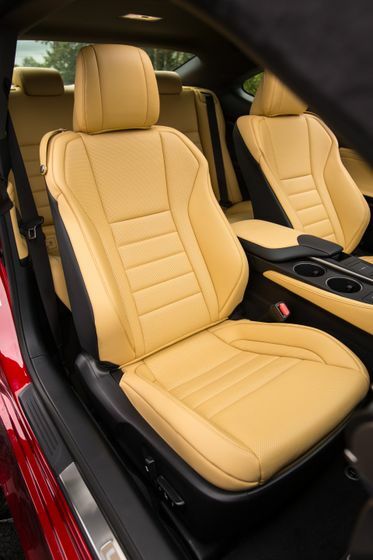 The centre console features large knee pads to support front-seat passengers during sporty driving conditions, while the upward sweep of the door trim telegraphs the promise of spirited driving fun. Console and door trim are both built up from layered components to convey elegance. The RC introduces upwards facing ambient illumination to create a new feeling of welcome like that found along the pathways of modern homes. The driving position has been adjusted, with a lowered hip point and raised steering wheel angle, to provide a linear feeling appropriate to the agile driving performance of the RC. 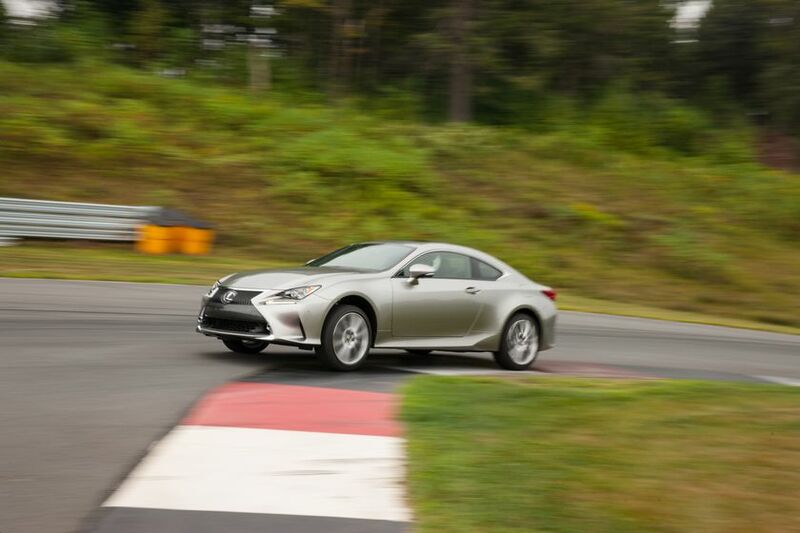 A dial meter design includes an exclusive design for F SPORT models – adopted from the Lexus LFA Supercar. At the centre of the instrument cluster, a 4.2” TFT LCD full-colour multi-information display presents vehicle, audio and navigation information. Climate control switches include stylish soft-touch electrostatic sliders to adjust the air conditioning. The signature Lexus analogue clock, interpreted for the coupe by taking design cues from high-end casual/sports watches. 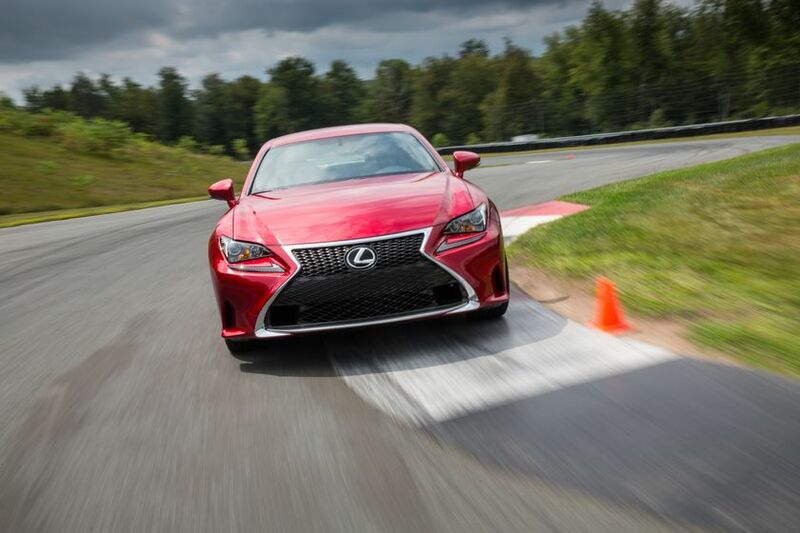 The RC continues the Lexus tradition of implementing advanced technology that is intuitive to use. 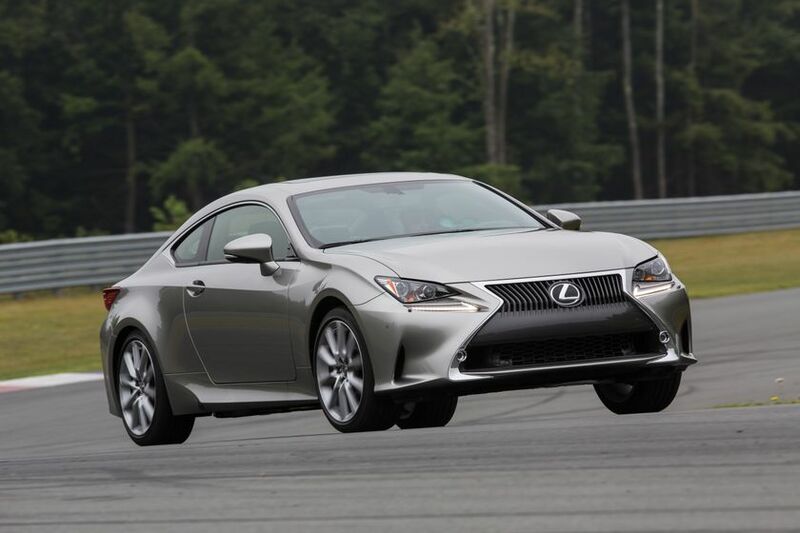 Two audio systems are offered: A 10-speaker Lexus system and an available 17-speaker Mark Levinson audio system. Both employ Class D amplifiers and a centre-rear mounted subwoofer to obtain rich bass response. 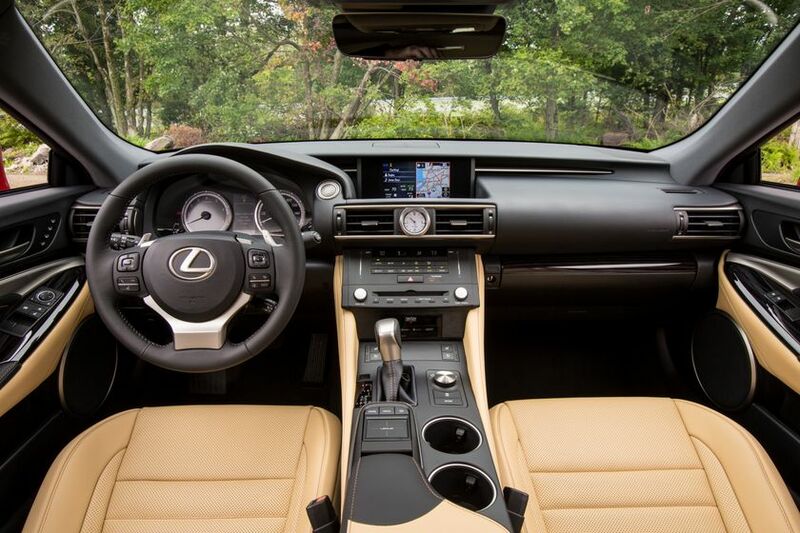 A new generation of the Lexus Remote Touch Interface anchors the “operation” zone in the centre console, and features touch-screen operation that supports familiar smart-phone gestures such as “flick” and “pinch”. 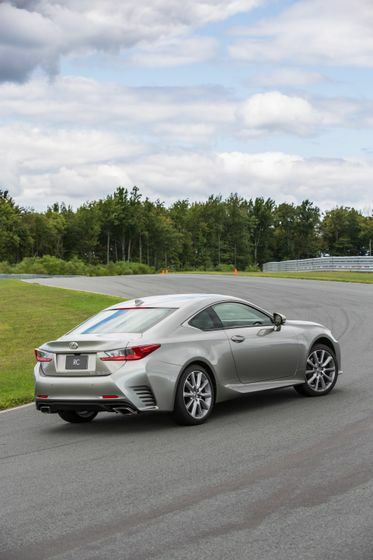 The Lexus Blind Spot Monitor system is standard on every RC, and has been enhanced with Lane Change Assist – an extended detection area to help alert the driver to vehicles approaching from the rear at higher speeds. The Rear Cross Traffic Alert system is standard on every RC, to assist drivers when reversing out of parking spots or driveways. 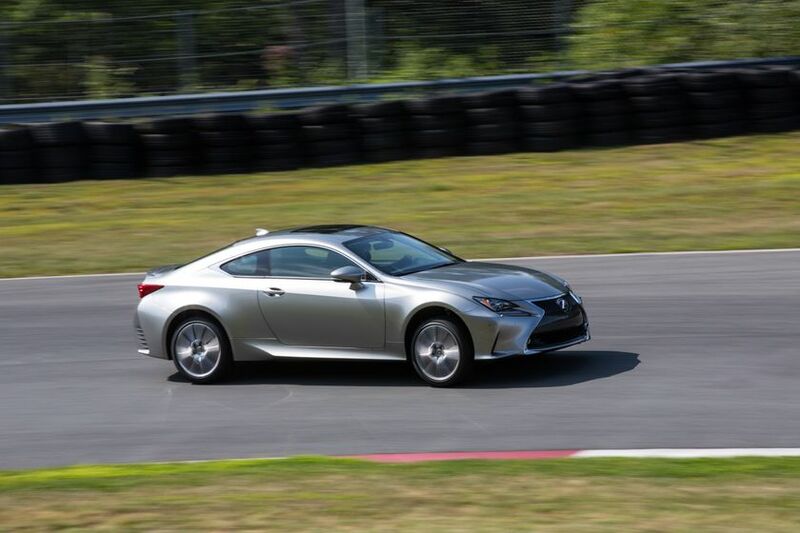 The RC coupe is built around a 307 peak horsepower 3.5-litre dual overhead cam V6 that combines power, torque and responsiveness for a passionate driving experience. 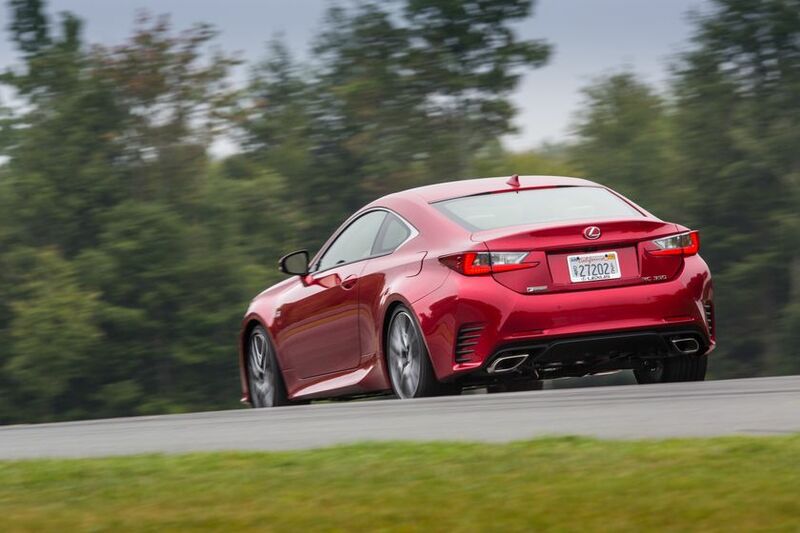 Rear wheel drive models are equipped with an eight-speed Sports Program Direct Shift (SPDS) transmission with three driver-selectable modes; NORMAL, SPORT, and M (which enables clutch-less manual shifting). 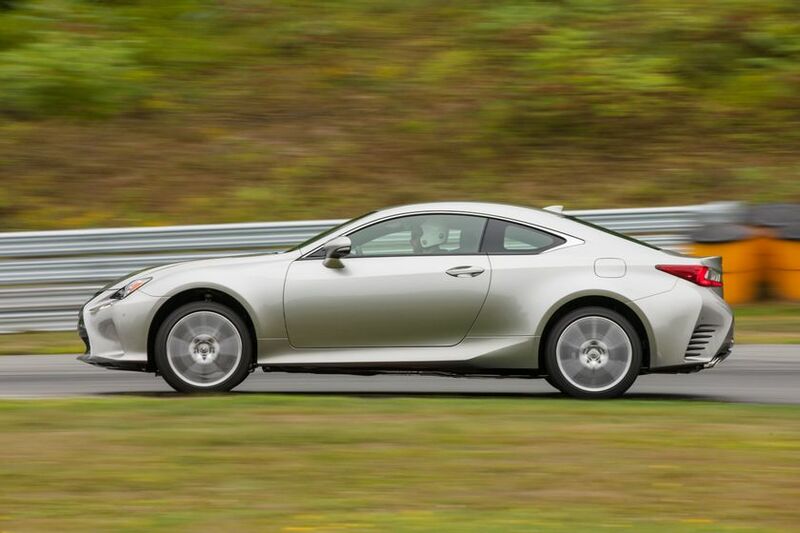 All wheel drive models are fitted with the Lexus AWD-i system with an electronically controlled centre differential and a six-speed automatic transmission. 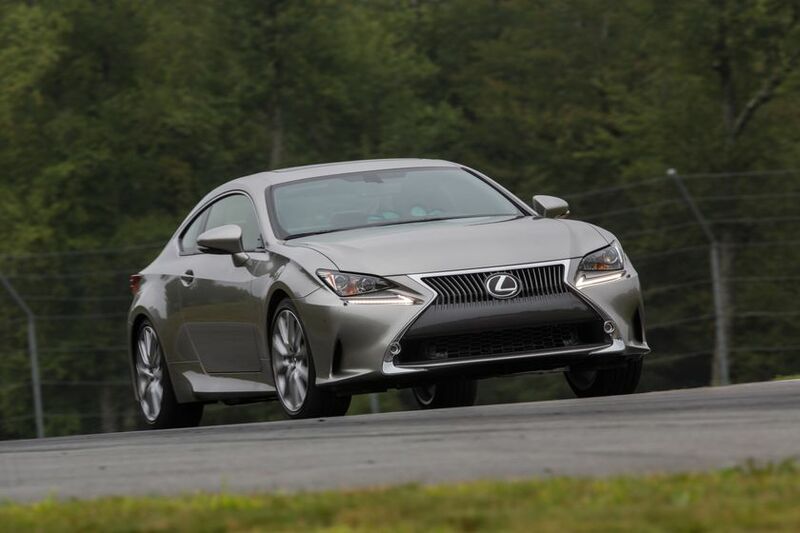 Both transmissions feature sequential shift operation and steering wheel-mounted paddle shifters. 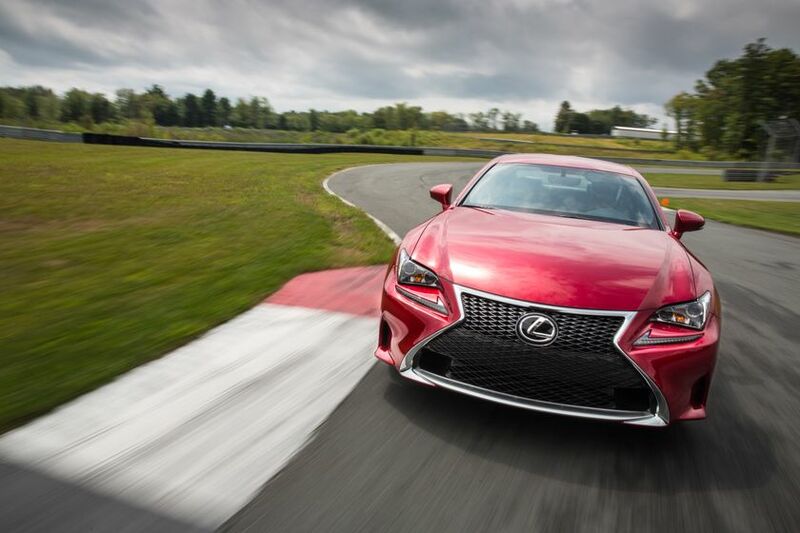 All RC models include the Lexus Drive Mode Select system to further customize performance characteristics to driving conditions and mood. 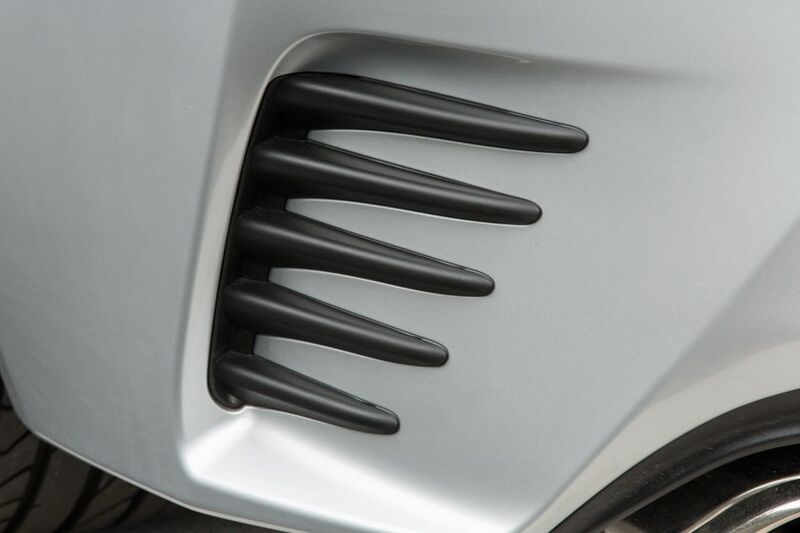 A newly developed muffler system emphasises the engine sound, plus an intake sound generation to further enhance aural appeal under acceleration. 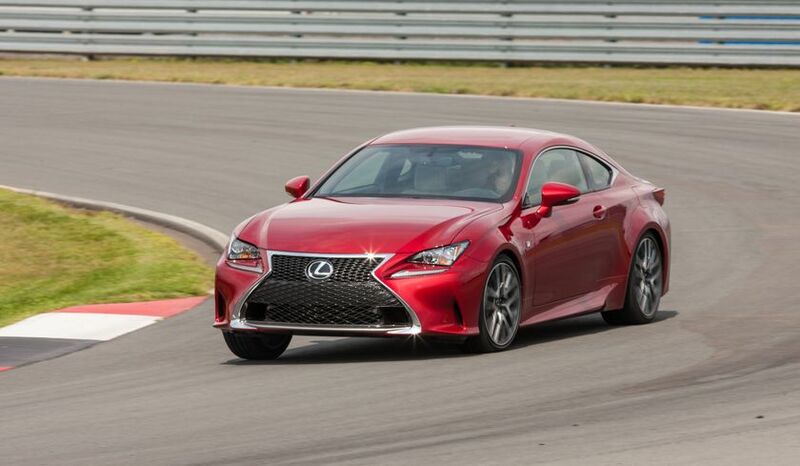 The RC was designed to deliver a new level of Lexus driving performance with a focus on handling agility. 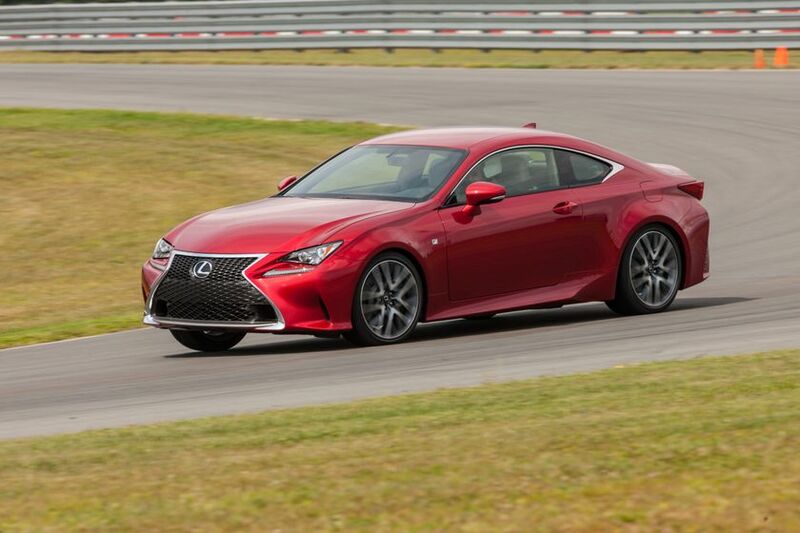 All aspects were considered, from the vehicle’s footprint on the road and aerodynamics, to the suspension hardware and calibration of the electric power-assisted steering system. RC chassis engineers aimed for excellent steering response and smooth roll transfer during initial turn-in, minimal roll and rapid yaw-rate gain for agile turning mid-corner and smooth steering feel with smooth sprung body movement from corner to corner. Steering feel and response have been further optimized by adopting a new, high-rigidity gear-mounting bushing for the steering rack. 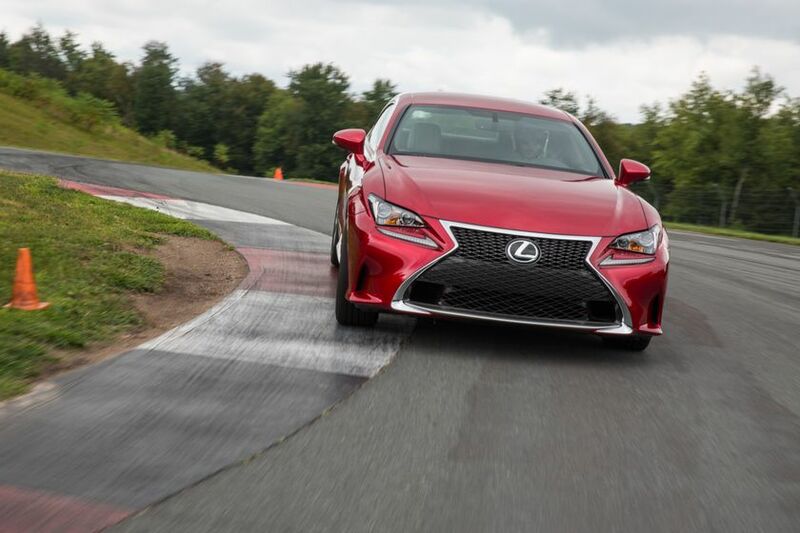 RC’s excellent steering response makes it easy for the driver to aim for the corner exit. Steering characteristics suitable for RC were achieved through control of roll rigidity distribution. 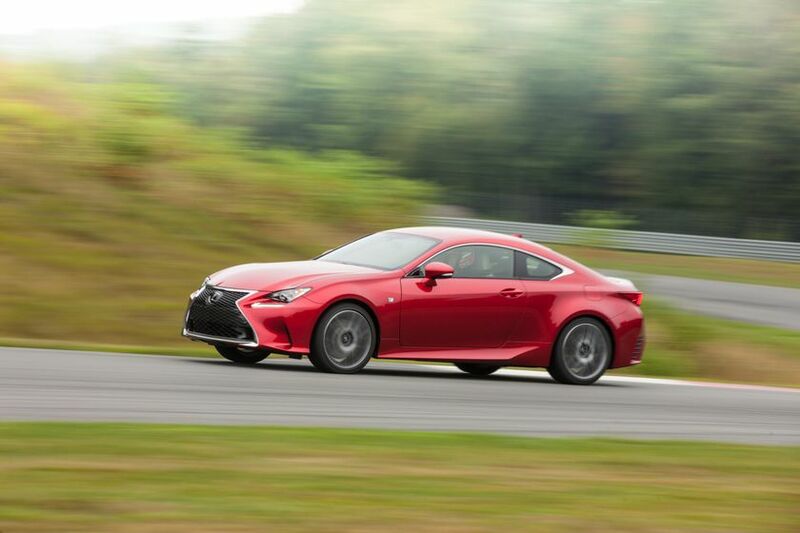 Lexus RC’s aerodynamic performance leverages the concept of ‘aerodynamic handling stability’ by using the flow of air over and under the car to optimize controllability, especially when travelling at high speeds. 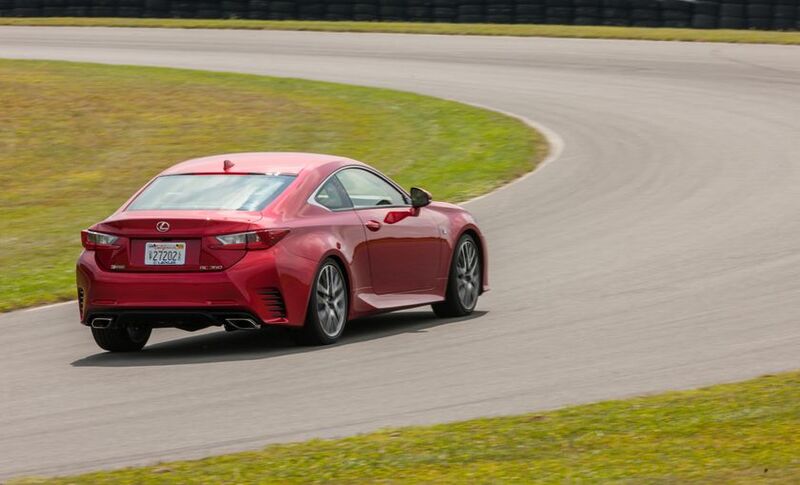 Aerodynamic handling stability features in RC include the shaping of the body, aero-stabilising fins, and a flat under-body design. 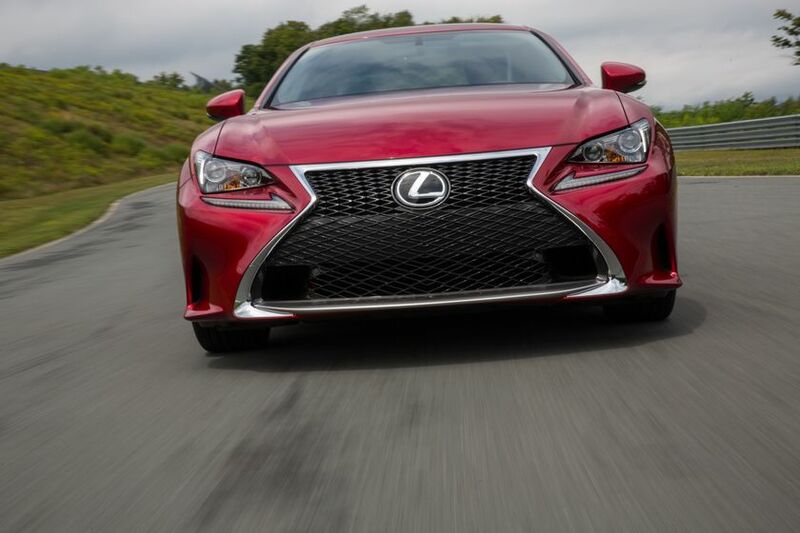 Ducts in the front bumper enhance aerodynamic and brake-cooling performance. Engineers paid special attention to creating an extremely rigid body to provide a stable platform for the suspension and optimize agility. This required massive rocker panels and centre-floor gussets to accommodate the large door openings characteristic of a coupe. A double-wishbone suspension at the front, and multi-link with toe control arm at the rear – is uniquely calibrated to minimize roll angle while maintaining ride comfort. The rigid body enabled engineers to employ high damping forces and large diameter stabilizer bars without adversely affecting ride comfort. New brakes include large brake rotors front and rear with high performance brake pads. 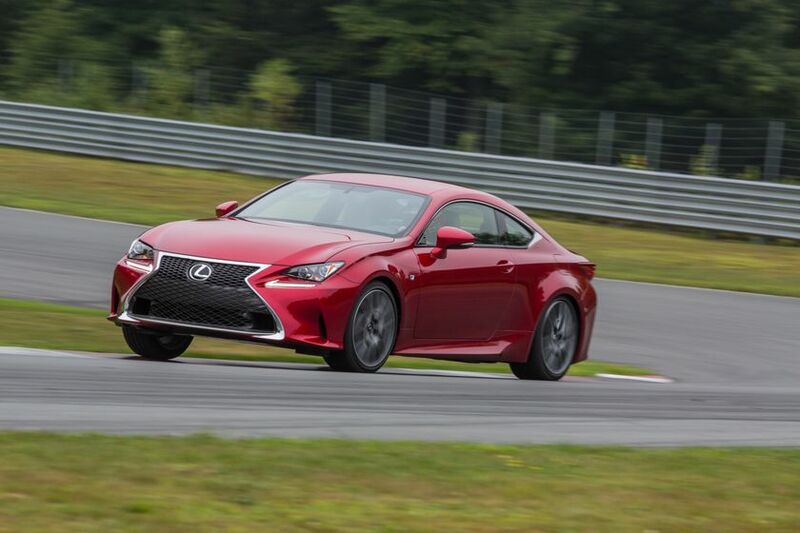 Lexus will offer the RC in four F SPORT configurations: RC 350 F SPORT Series 1; RC 350 F SPORT Series 2; RC 350 AWD F SPORT Series 1; and RC 350 AWD F SPORT Series 2. 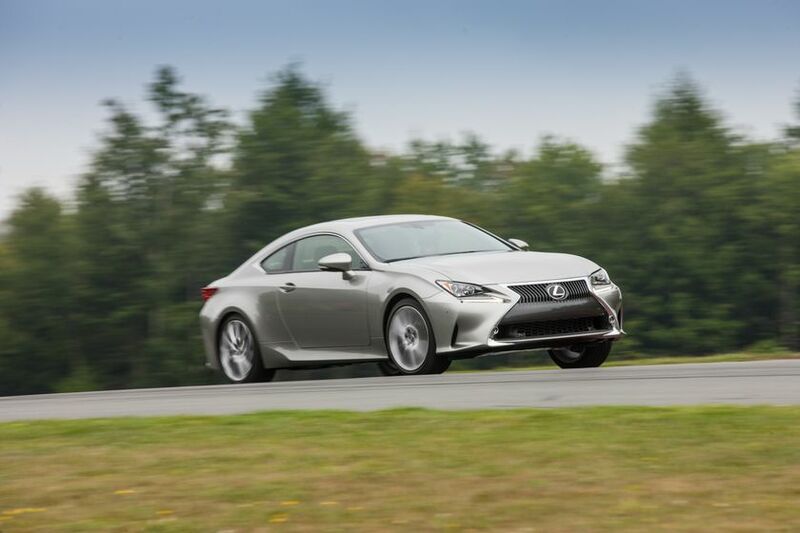 All F SPORT configurations add exclusive performance features. 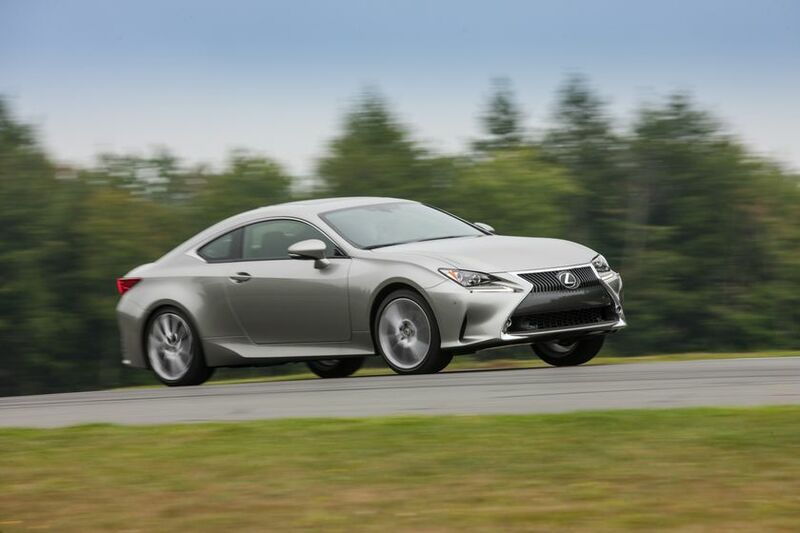 These include electric power steering enhanced with variable gear ratio steering; Adaptive Variable Front and Rear Suspensions; Four-wheel Active Steering (on RWD models); and more. 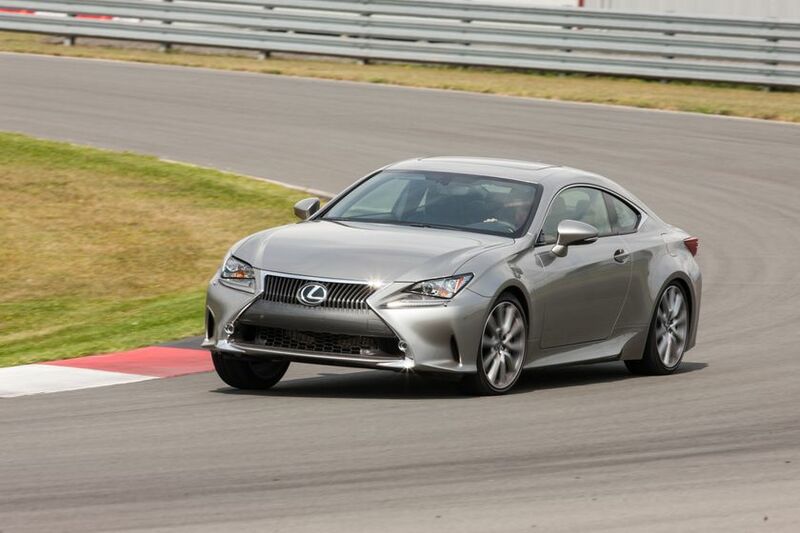 F SPORT configurations also receive unique exterior and interior styling appointments, including: Mesh-pattern grille; exclusive 19” wheel design; meter design adopted from the LFA Supercar; F SPORT aluminum pedals and footrest; steering wheel and shift knob clad in F SPORT exclusive perforated leather; unique scuff plates; unique seat stitching; exclusive exterior and interior colours; and more. 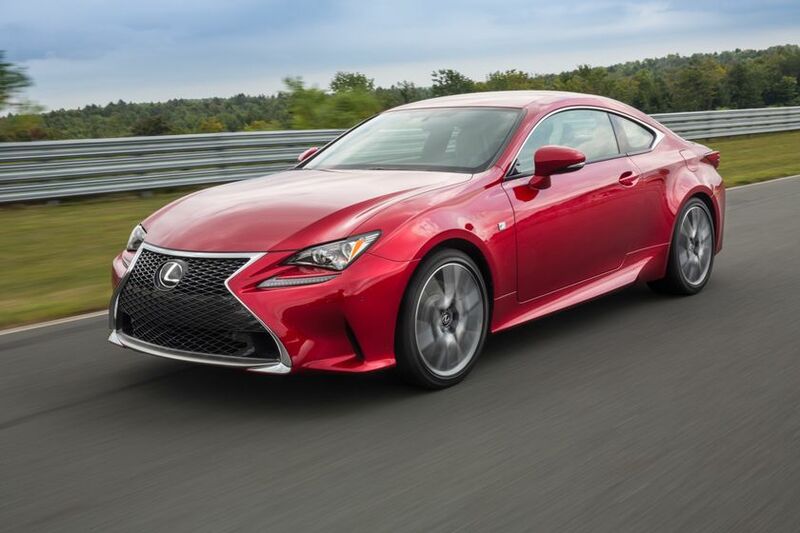 Additional features on F SPORT Series 1 models include: ventilated seats clad in NuLuxe material; a voice-activated SD card-based navigation system; power moon roof; and automatic wipers. 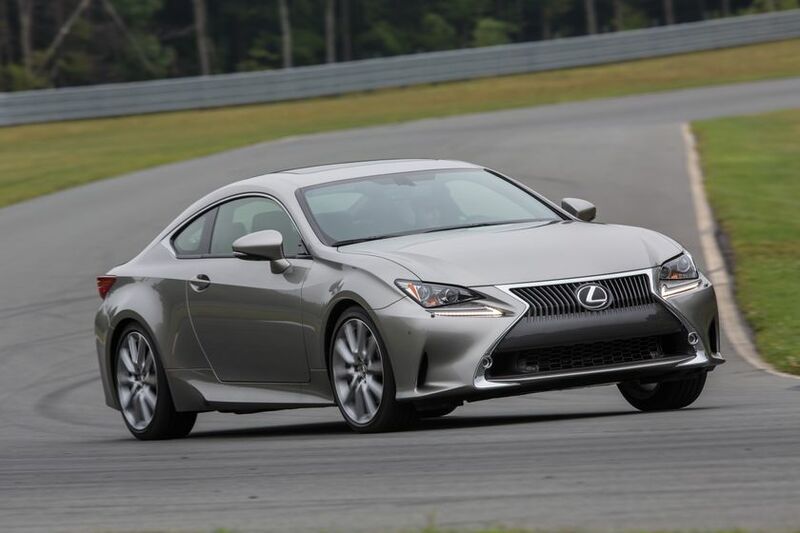 F SPORT Series 2 models include all features from Series 1, plus: Mark Levinson audio system; Lexus Pre-Collision System; Lane Departure Alert System; Driver’s Seat and Front Passenger’s Seat memory systems; and Intuitive Parking Assist. 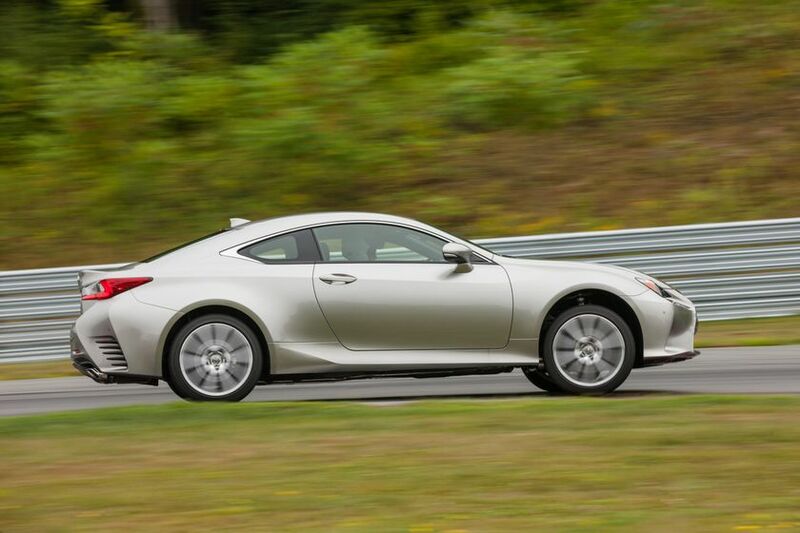 The Lexus RC maintains the Lexus reputation for building vehicles that maximize safety for the driver, occupants and other users of the road. 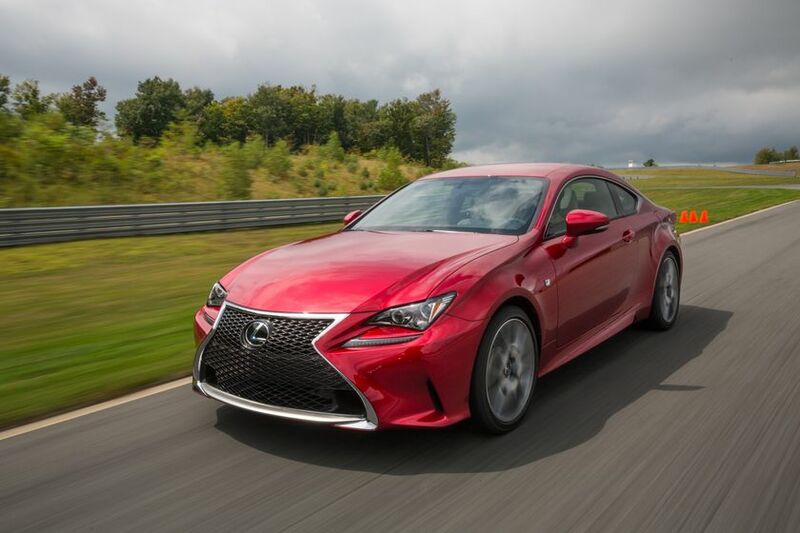 Safety starts with a high-strength body structure, and the Lexus RC maximizes frontal and side collision protection measures with high-tensile strength steel enhanced by body adhesives, laser-screw welding and additional spot welds. 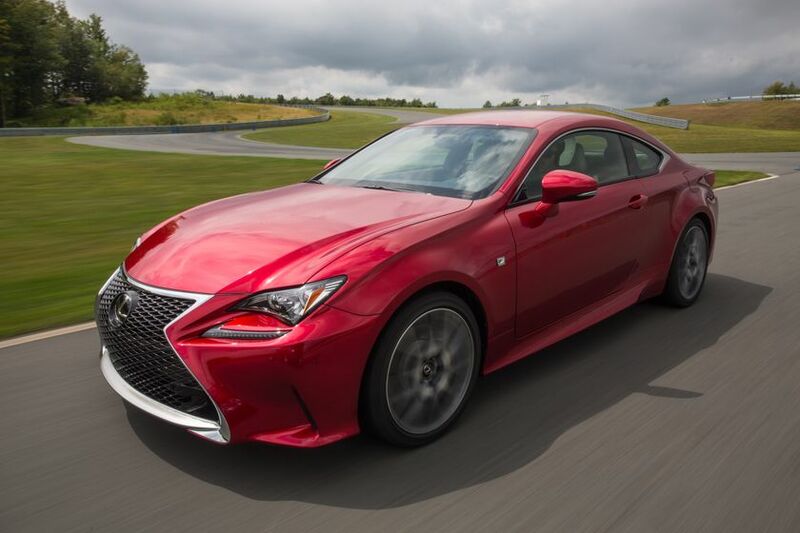 Every Lexus RC has eight SRS airbags, including a dual-stage driver’s airbag, dual-stage and dual-chamber front passenger airbag, driver's and passenger’s knee airbags, front-seat side airbags and full-length side curtain-shield airbags. 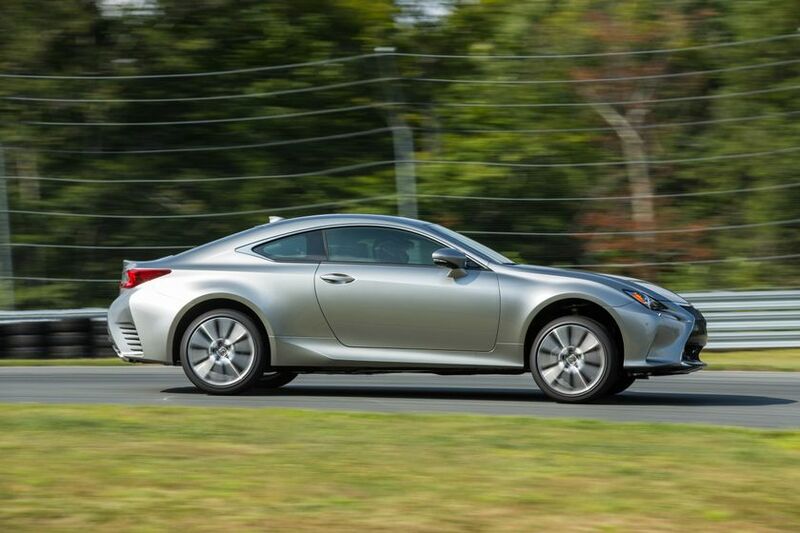 The big side-curtain airbag has been adopted for increased side-collision compatibility. 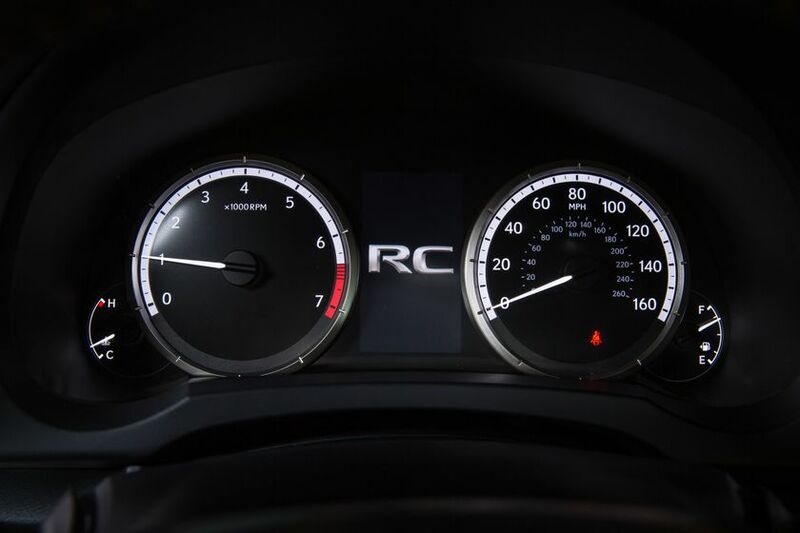 All RC models are equipped with a Vehicle Dynamics Integrated Management (VDIM) system tailored to the RC’s performance characteristics, plus active safety systems including: Vehicle Stability Control; Traction Control; and Antilock Braking System with Electronic Brakeforce Distribution and Brake Assist. 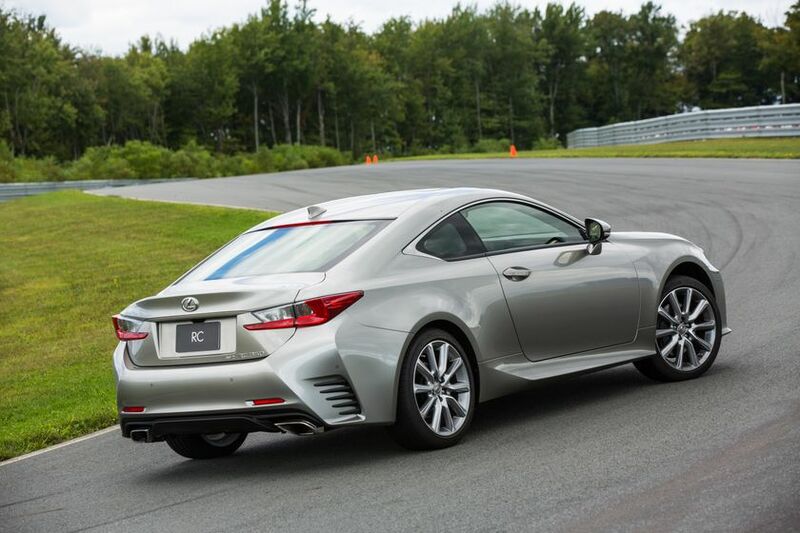 Other standard safety systems include Blind Spot Monitor, Lane Change Assist, Rear Cross Traffic Alert, and a back-up camera (in the navigation display on models equipped with navigation), while available safety systems include the Lexus Pre-Collision System and Lane Departure Alert system.